Actress Suzanne Somers and her TV-host husband, Alan Hamel, have created an earthy, and at the same time, glamorous estate which is now on the market at $35 million. Modeled after L’oustau De Baumaniere in Provence, France, the compound is on 73 acres and set into the side of a craggy mountainside in Palm Springs. There are five buildings with 8,826 square feet of living space designed in the 1920s by Albert Frey. 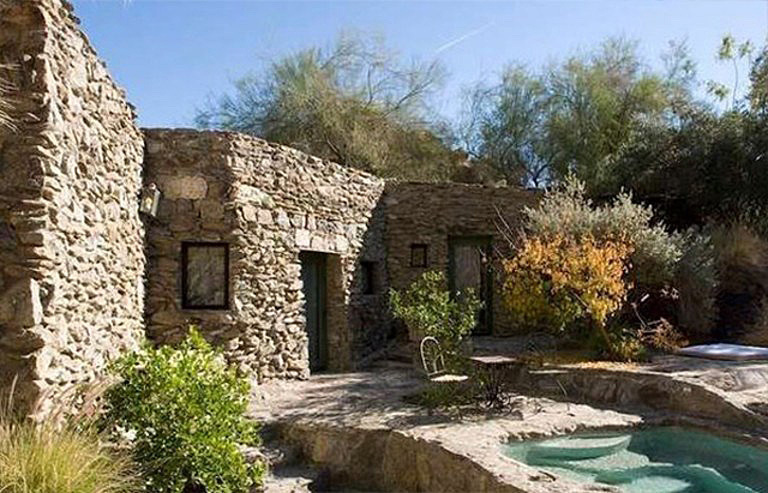 Included are an outdoor amphitheater, meditation garden, dance floor, pool, spa, hiking trails and natural waterfall. Much of the home’s furnishings collected by Suzanne and Alan in their world travels are included in the sale. Scott Lyle of Teles Properties is the listing agent. In Palm Beach, architect Marion Sims Wyeth designed fabulous mansions including President Trump’s Southern White House, Mar-a-Lago, which he originally designed for heiress and socialite Marjorie Merriweather Post in the 1920s. Carefully constructed using old-world crafters, many of his homes are more important today than they were when originally built. He also designed the Florida Governor’s Mansion and Shangri La - Doris Duke’s home in Hawaii. One of Wyeth’s homes, Lemon Hill, has just come on the market. Built in 1939 and tucked away on 2.24 private tropical acres at the end of a canal leading into the Florida Intracoastal Waterway, the two-story main house at 6,206 square feet has four bedrooms, six baths, large formal rooms with high ceilings and fireplaces, a cypress-paneled library that opens to the pool terrace and a large kitchen and breakfast room to service a large family or for entertaining. Between the main house, guest house, pool house and maid’s quarters, there are a total of seven bedrooms and twelve baths. A private dock has the capacity to house a large yacht and is a perfect spot to watch the sunset over the water. 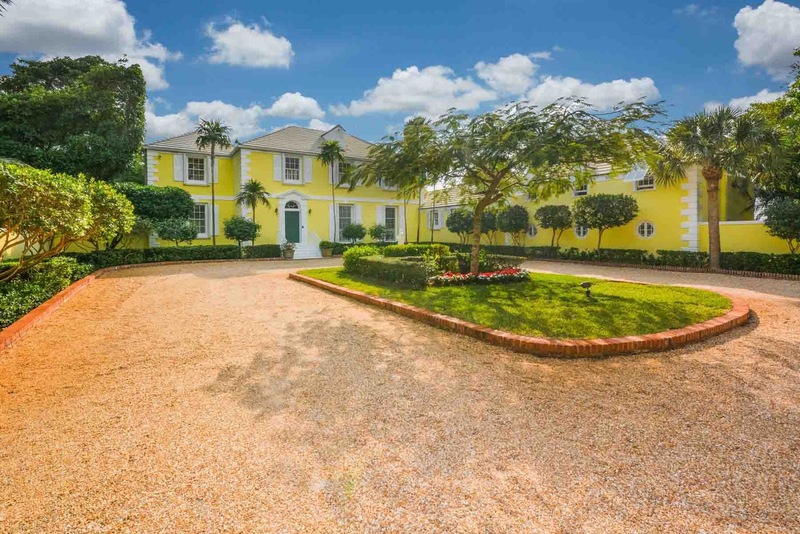 Co-listing agents are Keith Neff and Quisqueya Neff of Sotheby’s International Realty. 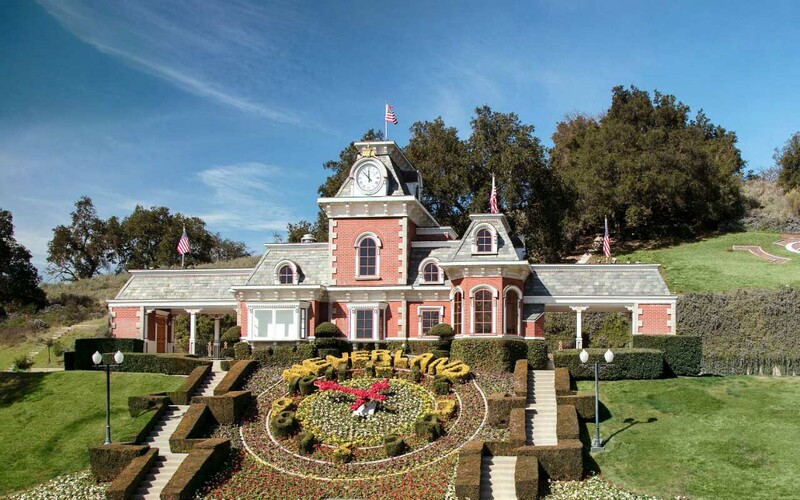 It might not be a bargain but Michael Jackson’s Neverland, sans Michael’s menagerie of animals and carnival rides, is now much more affordable. First put on the market in 2015 with an asking price of $100 million, it has been relisted at $67 million for its 2,700 acres, lakeside mansion, sports courts, guest houses and famous floral clock. Designed in 1982 by Robert Altevers, the main house at 12,000 square feet has rooms of large scale containing formal rooms, fireplaces, a comfortable but commercially functioning eat-in kitchen, hardwood floors from an 18th-century French villa, six bedrooms including a master suite complex on two levels with fireplace in sitting room, two large baths and cedar walk-in closets, one with a hidden safe room. There is a four-bedroom guesthouse, a two-bedroom guesthouse, a free-form swimming pool, large covered barbecue area, basketball court, tennis court, 50-seat movie theater with private balcony and stage, and a four-acre lake with waterfall. The new listing agent is Joyce Rey of Coldwell Banker Previews International. Visit TopTenRealEstateDeals.com for more historic, celebrity and spectacular homes and real estate news.